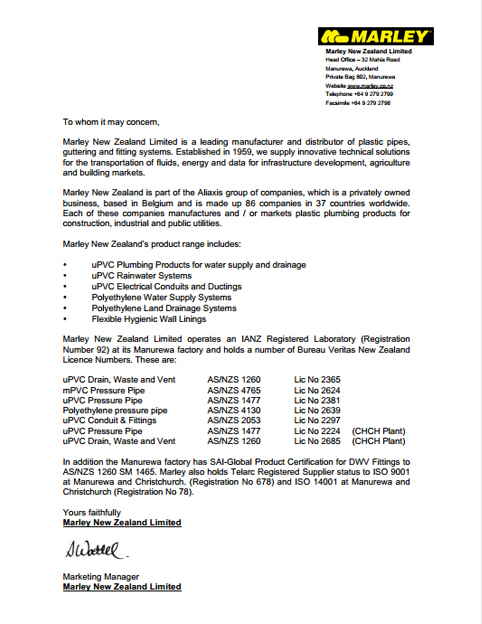 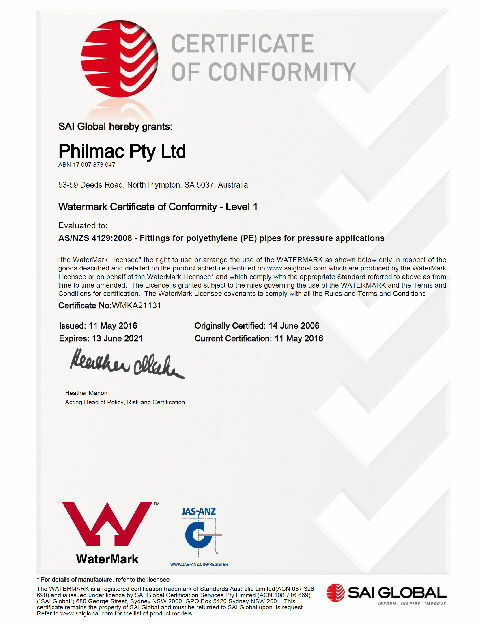 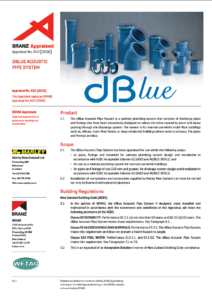 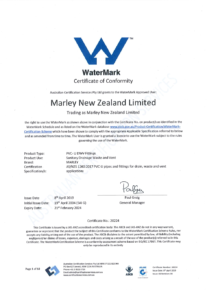 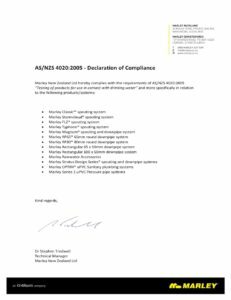 Marley New Zealand’s ISO 9001 quality management system accredited manufacturing operation incorporates blending, extrusion, injection moulding, fabrication and warehouse facilities. 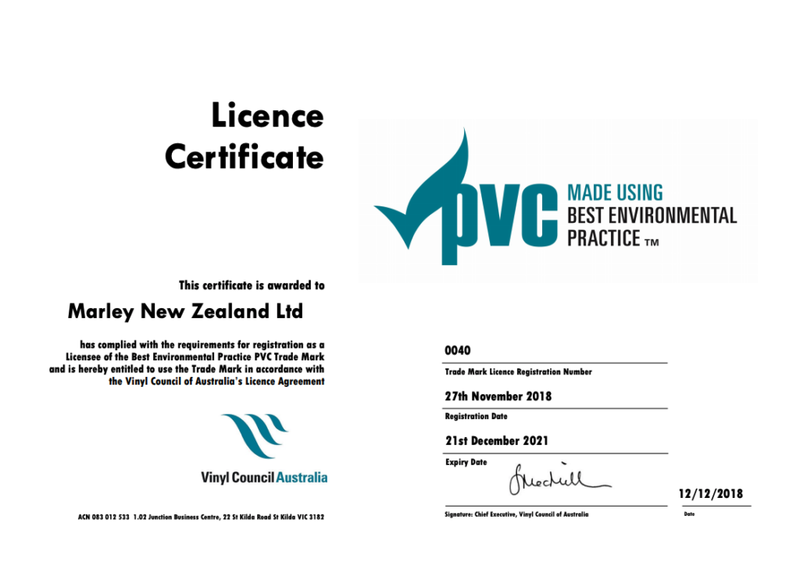 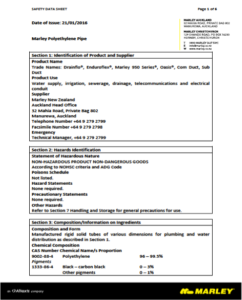 Marley is ISO 14001 accredited which is the international specification for an environmental management system. 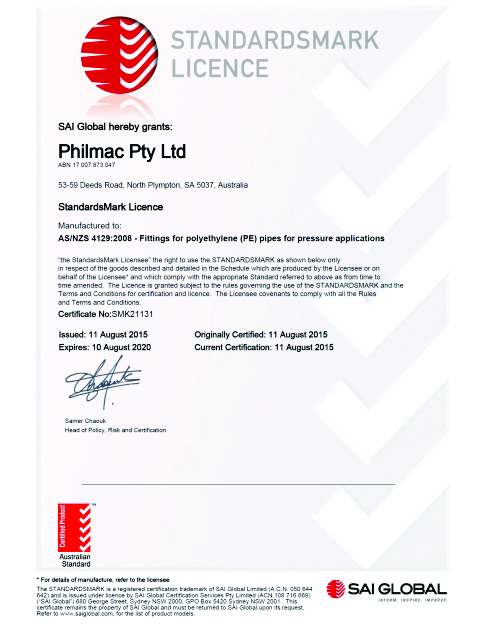 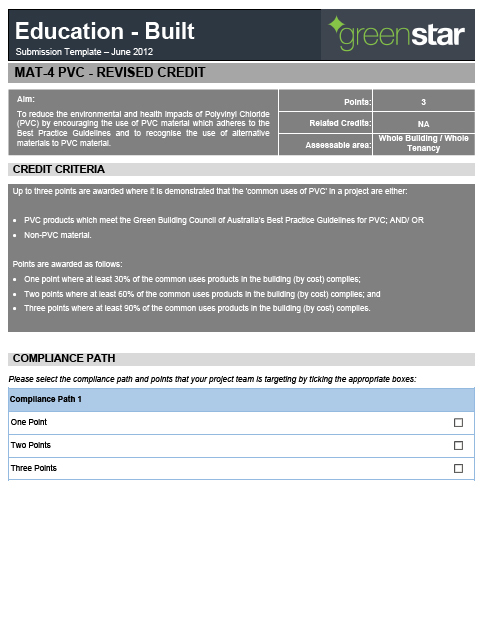 This standard is an assessment tool for organisations and exists to help minimise how their operations negatively affect the environment. 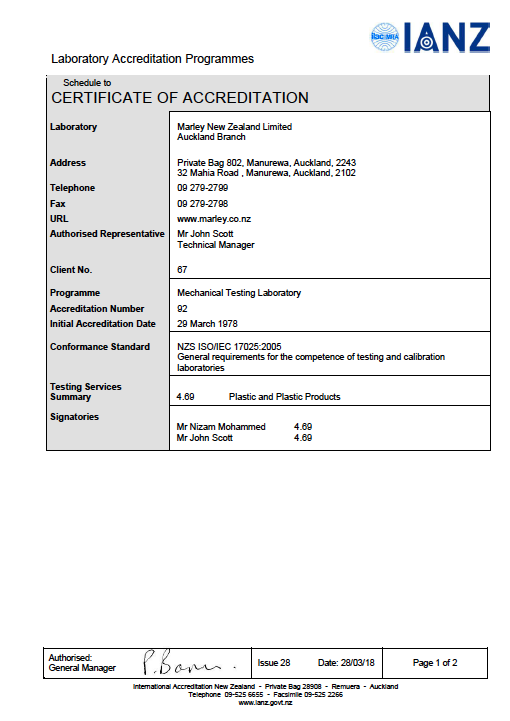 Marley also holds the Certificate of Accreditation ISO / IEC 17025, which states Marley as an accredited Laboratory in the field of Mechanical Testing.